Always striving for the highest quality, Hakkaisan has invested in building Kowagura, a new brewery dedicated to brewing ultra-premium sake. 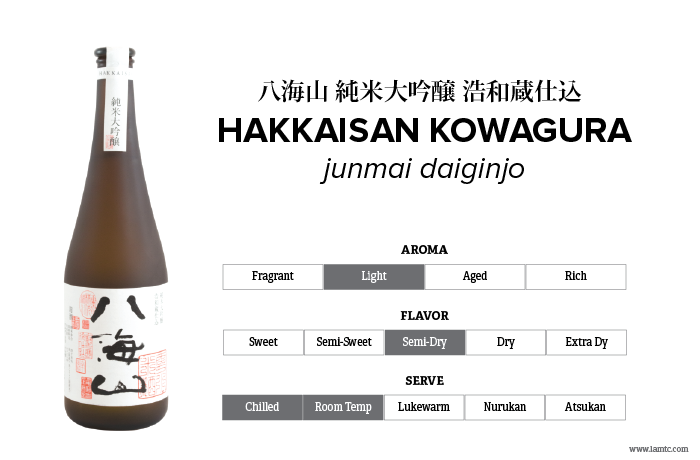 By utilizing every brewer’s mastered skills, knowledge, passion, and commitment to quality have created this well-rounded flavored premium sake –Hakkaisan Junmai Daiginjo Kowagura. Sake created at this level not only enhances the taste of Japanese food but will also pair beautifully with the cuisines of the world. Hakkaisan Kowagura gracefully glides through the palate and finishes smooth and clean.